Jennifer Lopez shut down the red carpet with a dress from Georges Chakra’s autumn/winter couture collection that offered a dazzling twist to the neon trend. 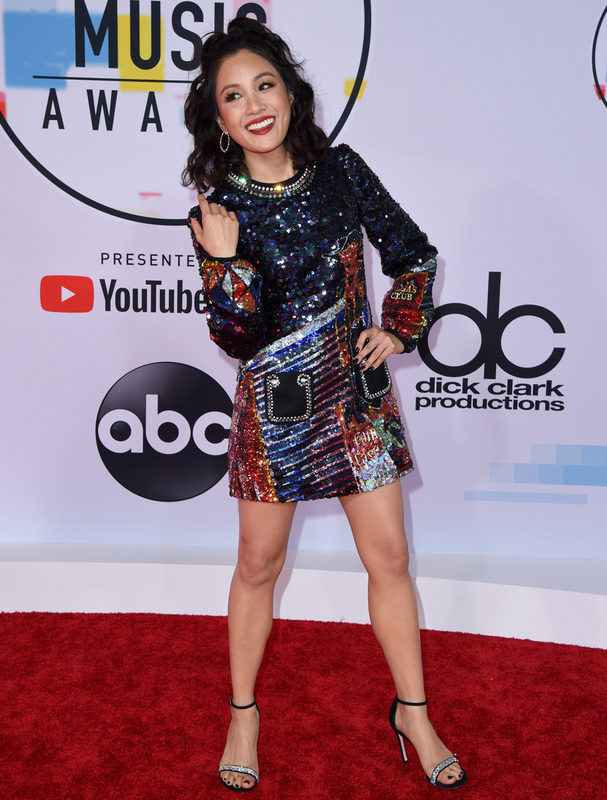 The American Music Awards, a celebration for the best in the music industry, is known for having one of the starriest red carpets in Hollywood. And the 46th installment certainly didn’t disappoint, with plenty of A-listers slaying as they made their way into the Microsoft Theater in Los Angeles on Tuesday night. As a tribute to their groundbreaking achievements, we’ll start with Taylor Swift and Camila Cabello, who took home four awards each. Swift, who overtook Whitney Houston’s previous record, lit up the red carpet in a dazzling sleek silver disco-ball like mini dress and matching over-the-knee boots. As well as joining the Balmain army, the “I Did Something Bad” singer staged her first awards show performance in three years. 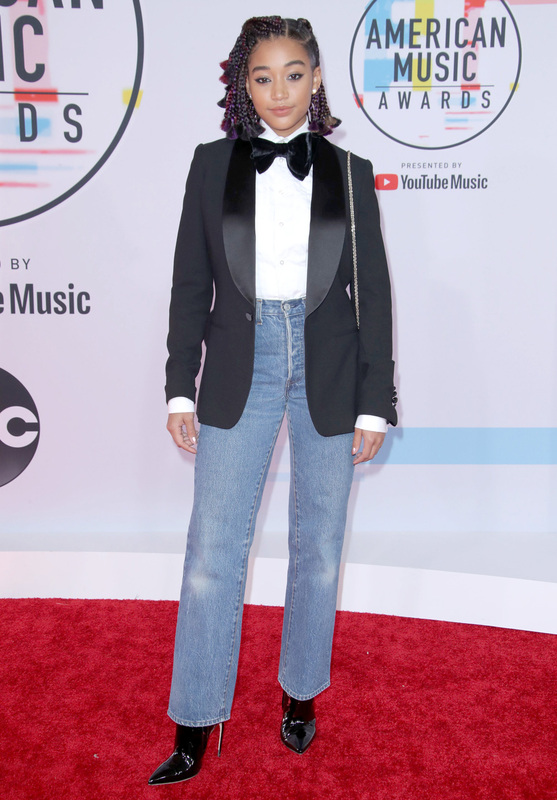 Cabello, who beat the likes of Khalid and Dua Lipa to win New Artist of the Year and wowed the audience with a spine-tingling performance of “Consequences,” rocked a structured black trouser and corset combination. While she also nabbed the award from Cardi B, the American rapper and songwriter, who had eight nominations, notably walked home with three awards, including Favorite Rap/Hip Hop Artist. The diva delivered drama in her show-stopping ensemble, a brightly coloured billowing floral dress with matching headpiece that had volume-boosting flower appliqués. Some of the stars were spotted in pink, probably honouring Breast Cancer Awareness Month. Superstar Jennifer Lopez looked stunning in an electric pink silk chiffon halter gown with side cut-outs, thigh slit and black velvet detailing. And for her red carpet return, Vanessa Hudgens chanelled Hollywood glamour in a low-plunging blush-toned gown. 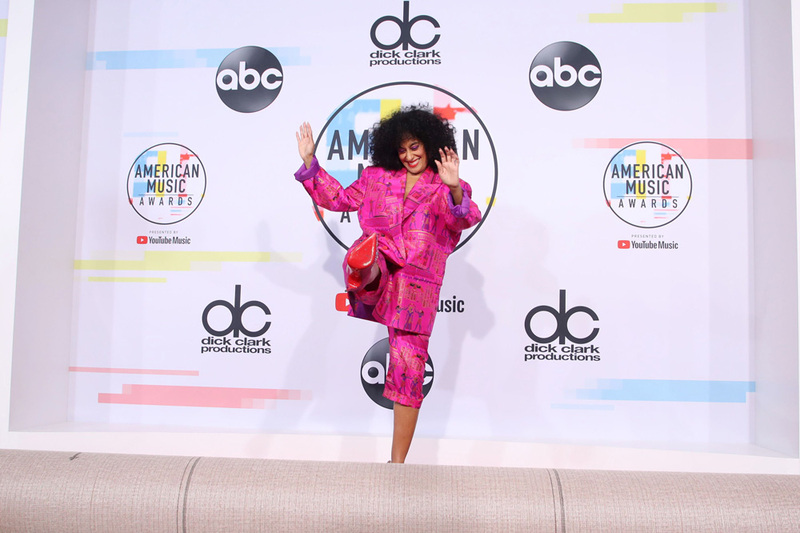 Tracee Ellis Ross, who made an epic number (12) of outfit changes for her second round of hosting, suited up in a pink blazer and trousers with black accents. Other celebrities who bucked the dress trend included Busy Philipps, who showed us exactly how to style sparkly bell-bottom pants. The 39-year-old actress opted for a black bralette and blazer. 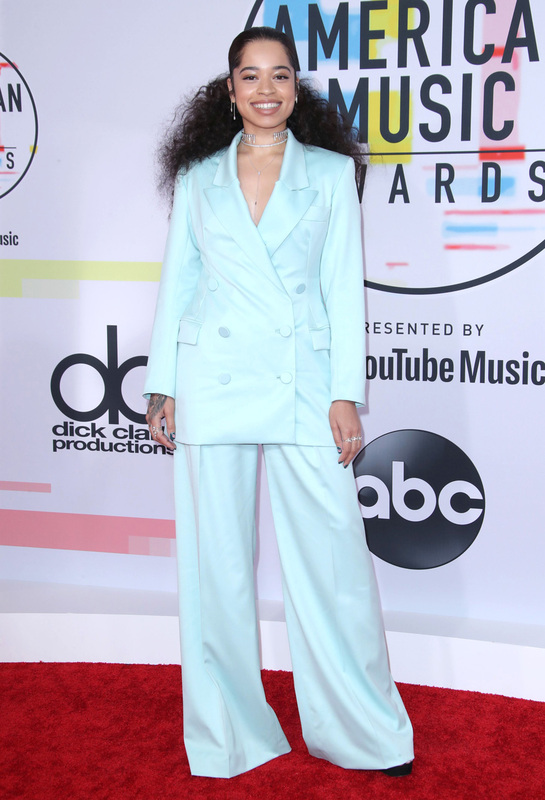 Then there was young Amandla Stenberg pairing a tux jacket with a bow tie, jeans and high-heeled boots and Ella Mai opting for a suit in a pretty pastel shade. ​More gowns that went on our Pinterest board include Amber Heard’s black tulle strapless gown featuring hand pleated skirt and corsage, plunging heart neckline and embellished silk velvet belt. Additionally, Leighton Meester, Dua Lipa and and Rita Ora showed why black, white or the classic pairing of both will never go out of style, while Tyra Banks’s metallic fringed skirt and Constance Wu’s sequinned mini dress gave us some more night out inspo. 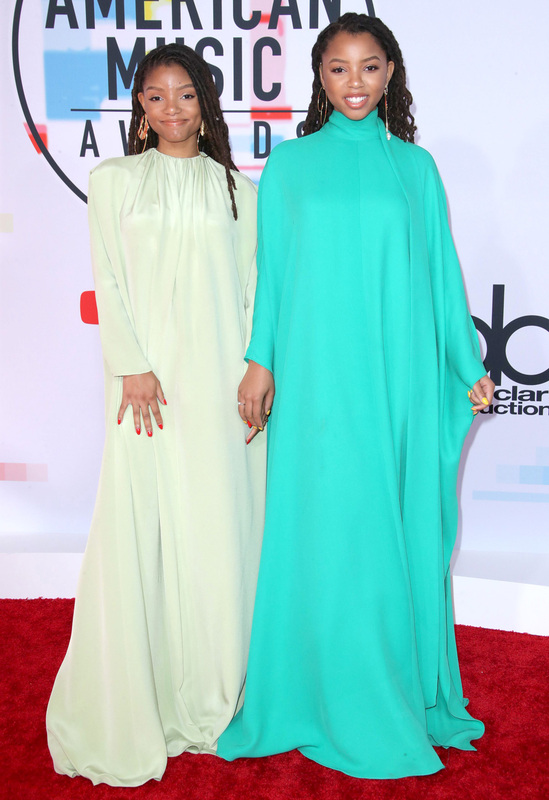 What’s more, if you want to stage an upscale twinning moment in some modest wear, all you need to do is turn to the sisters behind contemporary R&B band Chloe x Halle. Flick through to see how the stars pulled out all the sartorial stops.